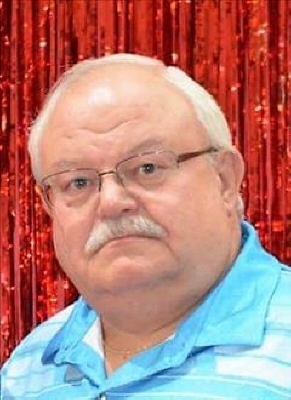 Jerry Lee Shank, 68, of Lakeview, OH, passed away unexpectedly, Thursday evening, August 30, 2018 at Mary Rutan Emergency Department, Bellefontaine, OH. Jerry was born on July 26, 1950 in Sidney, OH, a son of the late Wilbert and Malinda Mumford Shank. He was preceded in death by a sister, Thelma Penny and brother, Nole "Patrick" Shank. Jerry married Nancy Powell on June 29, 1974 at the Muchinippi Church and she survives along with two sons, Lee (Abby) Shank of Jackson Center, OH and Gregory (Teslie) Shank of Marysville, OH, seven grandchildren, Jasamine Shank, Tristen Shank, Dalton Shank, Elijah Parks, Ricky Shank, Hunter Shank and Trey Shank, three siblings, Wilbert "Bill" (Lois) Shank of Summerfield, FL, Linda "Leah" (Albert) Hughes of Jackson Center, and Charles "Pete" Shank of Tampa, FL, in-laws, Janice Shank of Jackson Center, Rick (Vicki) Powell of Lakeview, and Steve (Patsy) Powell of Bellefontaine, and several nieces and nephews. Jerry was a 1968 graduate of Jackson Center School. He retired in 2012 from Airstream in Jackson Center after 45 years. Jerry was a member of Muchinippi Church, Lewistown, OH and Village View Community Church in Summerfield. He enjoyed hunting, fishing, camping, classic cars and traveling to Florida during the winter. Jerry loved being with his family, playing with his grandchildren and spending time with his "Back 40 Family". Pastor Ed Shady will begin funeral services at 7:00 pm, Tuesday, September 4, 2018 at Shoffstall Funeral Home, 205 S. Main St., Lakeview. Visitation is Tuesday from 2-7 pm. Memorial Contribution may be given to his family in care of Shoffstall Funeral Home or to the American Heart Association. To send flowers or a remembrance gift to the family of Jerry Lee Shank, please visit our Tribute Store. "Email Address" would like to share the life celebration of Jerry Lee Shank. Click on the "link" to go to share a favorite memory or leave a condolence message for the family.